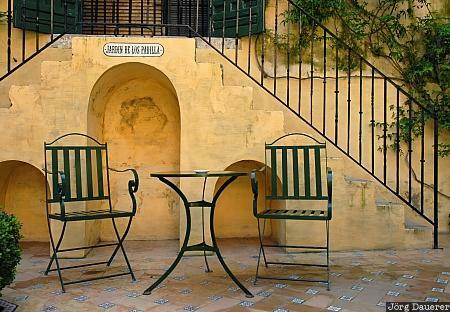 A typical courtyard (Patio) in Seville with chairs and a table, Andalusia, Spain. This photo was taken on a sunny day in March of 2008. This photo was taken with a digital camera.